14. History of Egypt From 330 B.C. 17. History of Egypt From 330 B.C. 20. History of Egypt From 330 B.C. 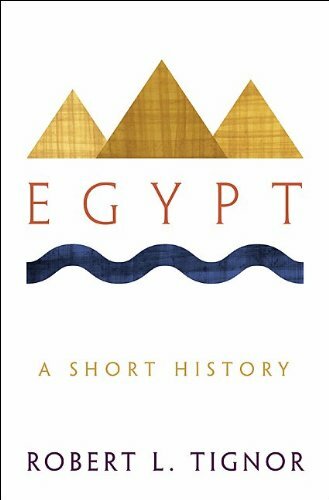 This is a sweeping, colorful, and concise narrative history of Egypt from the beginning of human settlement in the Nile River valley 5000 years ago to the present day. 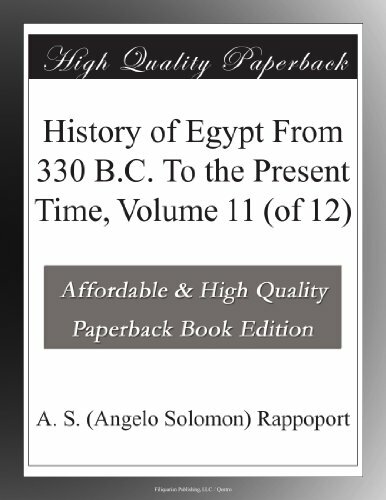 Accessible, authoritative, and richly illustrated, this is an ideal introduction and guide to Egypt's long, brilliant, and complex history for general readers, tourists, and anyone else who wants a better understanding of this vibrant and fascinating country, one that has played a central role in world history for millennia--and that continues to do so today. Respected historian Robert Tignor, who has lived in Egypt at different times over the course of five decades, covers all the major eras of the country's ancient, modern, and recent history. A cradle of civilization, ancient Egypt developed a unique and influential culture that featured a centralized monarchy, sophisticated art and technology, and monumental architecture in the form of pyramids and temples. But the great age of the pharaohs is just the beginning of the story and Egypt: A Short History also gives a rich account of the tumultuous history that followed--from Greek and Roman conquests, the rise of Christianity, Arab-Muslim triumph, and Egypt's incorporation into powerful Islamic empires to Napoleon's 1798 invasion, the country's absorption into the British Empire, and modern, postcolonial Egypt under Nasser, Sadat, and Mubarak. This book provides an indispensable key to Egypt in all its layers--ancient and modern, Greek and Roman, and Christian and Islamic. The title, unconsciously I think, is funny, but Robert Tignor's book about Egypt gets better as it goes along. "Egypt" is one of the odder histories I have read, addressed to people who want to travel to Egypt, which is a lot of people: Tourism makes up 10% of Egypt's national income (not counting the giant subsidies American taxpayers provide). The assumption is that they might want to know something about the place, but not too much. 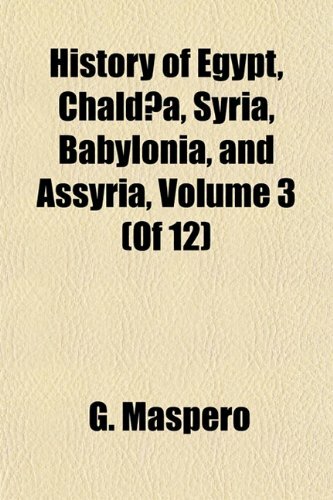 The early chapters are a mishmash of a history that, I suppose, most people know at least a little about; that Egypt is the "gift of the Nile, that Pharaoh Ramses II had a big ego and so on. Tignor understates the technological contributions of the ancient Egyptians, mentioning mathematics and a primitive start toward alphabetic writing, but completely ignoring the material contributions. It is hard to imagine modern life without glass, for example. He also appears to swallow whole the Old Testament stories about Egypt, although archaeology has found no trace of ancient Israelites in the most archaeology-friendly place on earth. Tignor is an economic historian of modern Egypt, and as the history reaches the area of his lifetime study -- which happens also to be the period where (I conceive) even educated people tend not to know as much as they do about the more exciting era of pyramids, messiahs (even if imaginary) and tombs full of gold -- it becomes more trenchant. This is also the part of the book where he inserts a bit of travelogue, handy hints for tourists who do go to Egypt. However, he seems unconscious that the second half of "Egypt" contradicts a major theme of the first part, that, "It is virtually impossible for conquerors to obliterate the culture of the local population." The Muslims did a pretty good job of it. Egypt was, indeed, the intellectual cynosure of the Arab (and to some extent the Turkish Ottoman) world, but compared with the rest of the world, that isn't saying much. As a person who lived for years in Cairo, Tignor shows great sympathy for the desire of the Egyptians to regain control of their country, not that this has been of much practical value to them. He correctly notes that one tradition going back the full five millenia continues strong: despotic (he uses the milder term authoritarian) rule. The evident desire of Mubarak to begin a new dynasty makes it difficult to think of Egypt as anything but a failed state in the making. If you are of a mind to visit, it might be a good idea not to put it off. Writing as Elizabeth Peters, world-renowned Egyptologist Barbara Mertz is the author of the phenomenally popular New York Times bestselling mystery series featuring archaeologist Amelia Peabody. 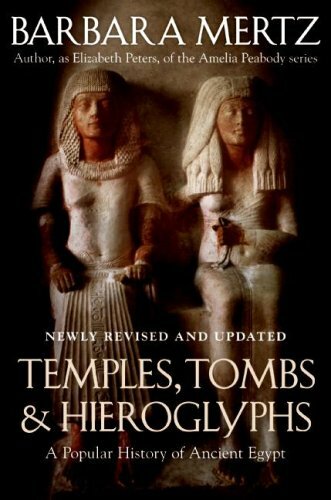 In Temples, Tombs, and Hieroglyphs, Dr. Mertz explores the breathtaking reality behind her fiction by casting a dazzling light on a remarkable civilization that, even after thousands of years, still stirs the human imagination and inspires awe with its marvelous mysteries and amazing accomplishments. A fascinating chronicle of an extraordinary epoch—from the first Stone Age settlements through the reign of Cleopatra and the Roman invasions—Temples, Tombs, and Hieroglyphs brings ancient Egypt to life as never before. Lavishly illustrated with pictures, maps, photographs, and charts, it offers tantalizing glimpses into Egyptian society and everyday life; amazing stories of the pharaohs and the rise and fall of great dynasties; religion and culture; folklore and fairy tales; stories of the explorers, scientists, and unmitigated scoundrels who sought to unravel or exploit the ageless mysteries; and breathtaking insights into the magnificent architectural wonders that rose up from the desert sands. Revised and updated to include the results of the most recent historical research and archaeological finds, Dr. Mertz's book is unhampered by stuffy prose and dry academic formality. Instead, it is a vibrant, colorful, and fun excursion for anyone who's ever fantasized about exploring the Valley of the Kings, viewing up close the treasures of the temple of Queen Hatshepsut, or sailing down the Nile on Cleopatra's royal barge. 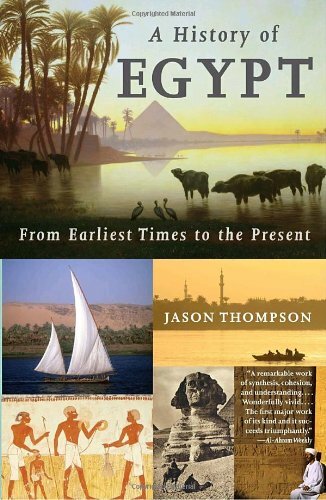 This very pedagogical book deals with the history of ancient Egypt in classic, chronological fashion. Though by no means earth-shattering, it is lively, warm, clear, unpretentious and sprinkled with touches of humour. The author comes out as both knowledgeable and amenable. In the audio version, the female narrator's voice and intonations are totally in sinc with this perception. Overall, this pleasurable work is strongly recommended to anyone interested in ancient Egypt. Meet Amelia Peabody's biographer, the reason that thebooks are so fascinating, fun, and engrossing is Barbara Mertz. Meet the other side of Elizabeth Peters, an archaeologist whose knowledge of ancient Egypt has brought so much to Amelia's family saga. If your interest in ancient Egypt was snared by Amelia's adventures, let her biographer's alternate side help you wade a little further into the time stream. A really good read. Ms. Mertz`s narrative helps the reader to understand clearly what could otherwise be abstruse concepts. Great reading for amateur egiptologists. Ties in the culture and era's of Egyptian history in narrative with comedic quips from Dr. Mertz. Lacks the academic formalism so is easier reading and keeps your interest. We really enjoy using History Pockets for the fun activities that bring history to life.They are not a complete history curriculum, only an outline.The information about ancient Egypt is limited to the driest, barest facts so you will want to supplement your studies with much more informative and interesting books.We used DK's Ancient Egypt; the Usborne Encyclopedia of the Ancient World; Ancient Egypt by Liz Gogerly; Mummies, Pyramids, and Pharaohs by Gail Gibbons; and You Wouldn't Want to Be a Pyramid Builder by Jacqueline Morley.After getting our info elsewhere we turned to the History Pockets for fun enrichment projects.This is a very worthwhile series and I recommend it, but I'm only giving it 3 stars because: the text could have been written in a much more interesting way, and this book is really below a 4th to 6th grade level.I would call it 1st thru 3rd. 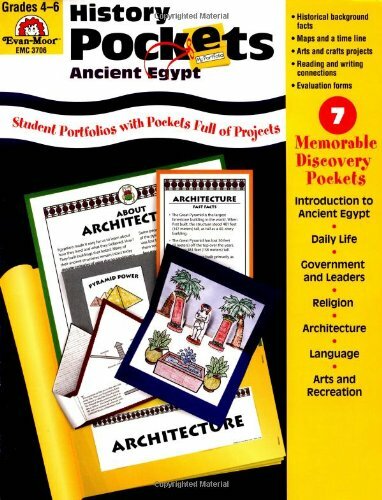 I've been impressed by the content of the 3 "History Pockets" books we've used in our homeschool (Ancient Civilizations, Ancient Egypt, and Ancient Greece). I think they would be really helpful for visual and tactile learners. Unfortunately, my DD hated all the cutting & pasting involved. She found it to be busywork. I would recommend the "History Pockets" to students who don't mind all the prep work involved in making the folders/lapbook. NOT only as a teaching tool! Politics and history without the culture. The volume did not have a time-line but did have maps for Ancient Egypt and Modern Egypt. The writing had the dryness of an encyclopedia and provided an overview of the history, politics, and religion from the Predynasty to Hosni Mubarak. The photos picked up the slack about art, money, architecture, geography, and portraiture, but the music and literature were limited to a picture of Umm Kulthum and Naguib Mahfouz. A History of Egypt: From Earliest Times to the Present is a one-volume survey of Egyptian history from its earliest known human civilization to the present day. Though penned with scholarly rigor, A History of Egypt is accessible to readers of all backgrounds, and features a brief inset section of black-and-white photographic plates. "The most astonishing reversal of Egypt's relationship with the rest of the world has aroused little comment. During the Nasser years Egypt ceased being a net food producer and became a net food importer. The country that once provided food not only for itself but also for many others can no longer feed itself... The amount of arable land added by the construction of the High Dam has been more than wiped out by urbanization... Such development would be better located in the desert." An index rounds out this thoughtful and thorough history. Highly recommended, especially for public and college library shelves. Outlining the major political and cultural events, A History of Ancient Egypt is an authoritative and accessible introduction to this fascinating ancient culture. Ancient Egypt has gripped the popular imagination like no other country and the lure of its pyramids and the Nile are a magnet for visitors from all over the world. This book provides a concise and fascinating journey from the country's earliest beginnings right up to the present day. A Traveller's History of Egypt communicates the magic of the pharaohs alongside a level-headed discussion of Islam for the benefit of modern travellers. 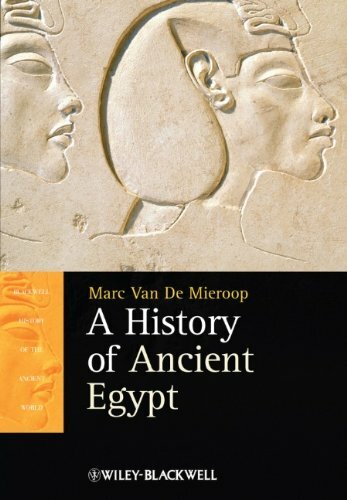 If you are not a historian and do not want to go deeply into the history of Egypt, this book is perfect.It covers the whole span, giving insights into the politics and religion, without being overly broad or overly narrow.It gives some understanding of the reasons for the various dynasties and other changes. This is a respectable introduction to the history of ancient Egypt. 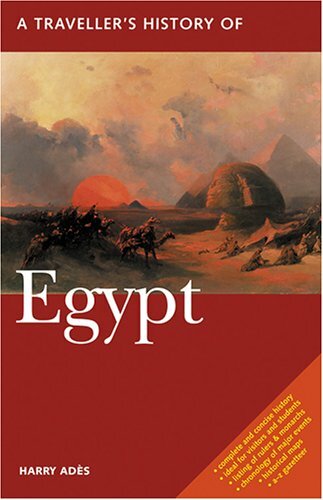 Hornung presents prose that is sincerely interested into the story of Egypt. He carefully outlines the political history of the civilization, dynasty to dynasty. I didn't notice any moments of awkward translation. My order came very quickly and it is in great condition. The book is a great introduction to Egyptology. 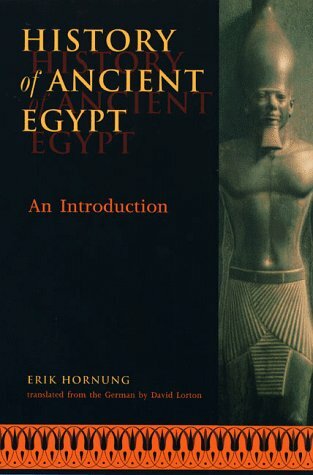 Far from discrediting Professor Hornung's mastery of the subject, I regret to say that this book is only a straightforward and very traditional political history of the successions of dynasties and pharaohs, with occasional hints on developments in art. Being an introductory work, I find it sad that it lacks mention of basic traits of economy and social life in the Egyptian world, as well as a clearer treatment of the state of sources (very common in the most recent general works). Also, the Intermediate Periods are squeezed at the end of the chapters, whose titles end up hinting at a continuity between the Old, Middle and New Kingdoms - the chapter on the Late Period seems even a bit rushed (btw, it accepts uncritically the very old and outdated theory of the "Sea Peoples" being a single factor of destruction in 1200BC). 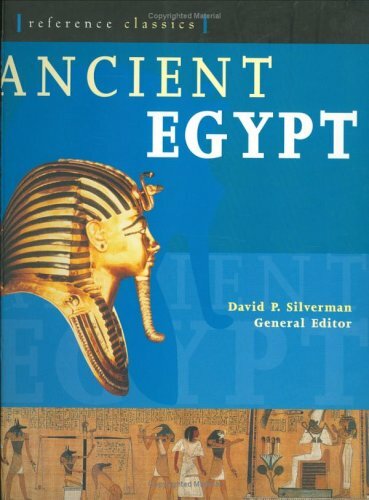 The Oxford History of Egypt is much more comprehensive, and I'd recommend it instead of this book. This was a great introduction to the history and culture of ancient Egypt. After some consideration of the state's political history, the author turned to a long section on religion. The short articles are different aspects of Egyptian culture are supplemented with pictures and even smaller articles on more specific phenomena. If you are a lover of Egyptian artifacts, this will make a nice book for your coffee table. There are dozens and dozens of images; tombs, jewelry, sarcophagi. It's definitely not a scholarly work, and I wouldn't purchase this if you needed to know anything in depth. But you definitely get a feel for life in ancient Egypt, and the pictures are wonderful. This book took me back to 7-10th grade, a period during which I developed an intense dislike of history.In books like this, facts were dished up without much context, there was no narrative (stories, personalities, evolution of war, architecture, etc. ), and the prose while clear was as interesting as lead.It was not until I got to college that I realized more sophisticated histories could make the subject really live. I suppose I should have expected this from so basic an introduction.It covers thousands of years in a few paragraphs.Indeed, each page is formulaic with a single subject (e.g. Houses of the Gods) and two inserts to break up two or three paragraphs of crude description.That makes for an exceptionally dull and elementary read, really about the 9th grade level. You get a description of the grand outlines.There were 3 kingdoms in Ancient Egypt, with 2 in-between periods during which authority broke down due to the centrifugal forces of strong local governors.Art was not aesthetic, but an expression of religious belief and ritual, incorporated into every object.Their mythology was similar to that of the Greeks, some would say they influenced each other; the sky was seen as water because it was blue.In addition to maintaining security, Pharoahs acted as priests to maintain balance in the universe; mummified, they went to the next life as rich men.The language was "related" to Arabic and Hebrew, though further explanation is frustratingly omitted.Much of the space in the book is taken up by listings of names of people and places, which are meaningless. While the basics are there, as a reading experience this is worse than dull.It can kill the reader's interest in a subject.Not recommended, except as a dictionary.While I have not yet found a good history of Egypt, there must be better ones out there somewhere.